Milk is packed with essential nutrients. It is an excellent source of calcium which is needed for optimal bone health; it plays a vital role in forming and repairing bones and teeth. Milk is rich in calcium; every 8-ounce serving of milk contains up to 300 milligrams of this mineral which is needed not only for bone formation but is also crucial for their repair and maintenance. The milk requirement varies depending on age and gender. Women usually are at greater risk to suffer from osteoporosis and so their daily recommended intake of calcium is greater than that for men. Females who are between 19 and 50 years of age need roughly 1000 milligrams of calcium every day. This daily calcium requirement increases to 1200 milligrams for women who are beyond 50 years of age. In simpler terms, if you were to drink three to four glasses of milk every day, you will be easily meeting your calcium needs. Calcium needs per day for men are quite similar to the requirements of their female counterparts. Those who are between 19 and 70 years of age, 1000 milligrams of calcium per day would suffice for them, whereas this amount would go up to 1200 milligrams every day if the male is beyond 70 years of age. The daily calcium requirements for children aged 1 to 3 years and those aged 4 to 8 years are 500 milligrams and 700 milligrams respectively. This requirement increases to 1300 milligrams of calcium per day once the child is 9 years of age, regardless of gender. In order to ensure healthy bones and teeth, it is absolutely crucial that we include at least 2 servings of milk or other dairy products in our diet every day. For vegetarians and vegans, it is suggested that instead of opting for milk products, they can consume soy milk or other soy products which are high in their calcium content. After leaning how much milk should I drink a day, another important question is how to drink it. Milk is nothing short of a complete food; it contains a variety of essential minerals and vitamins and it is filling at the same time. Drinking milk is a great way to curb one's hunger. Instead of drinking carbonated fizzy beverages, drinking milk is a healthier and more filling alternative. There are many ways of incorporating milk into ones diet. Due to such concentrated levels of calcium in milk and milk products, it is recommended that everyone includes such foods in their diet daily. By doing so, everyone, especially females, who tend to have greater calcium requirements, prevent the risk of suffering from osteoporosis. Moreover, milk also contains other beneficial nutrients such as protein, riboflavin and vitamin B-12. Today, packaged and bottled milk are further fortified by additional minerals and nutrients making milk a complete food. 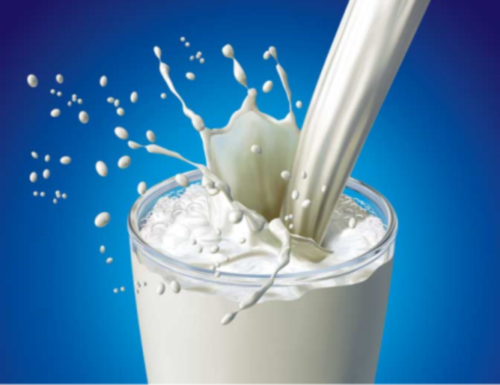 Milk can be added to smoothies, breakfast cereals, coffee, tea and yoghurt. It can also be consumed as a drink. Although calcium is of supreme importance to both genders at every age, it needs to be supplemented with vitamin D. This is because inadequate vitamin D in the body can lead to reduced absorption of calcium resulting in loss of bone density which will lead to poor bone health. Thus, it is essential to incorporate those foods in your diet that are not only excellent sources of calcium but also contain sufficient quantities of vitamin D.
Today, most packaged milk is already fortified with vitamin D; every 8-ounce serving of milk fulfils roughly 30% of your daily vitamin D needs thereby ensuring that calcium is absorbed in the body. Three glasses of fortified milk can easily meet an individual's daily vitamin D requirements. Children need to have adequate calcium in their diet as it is integral to the repair and maintenance of their bones. Up till the age of two, children should be given whole milk as it is packed with good fats that are essential for a child's brain development. However, once a child is beyond two years of age, it is very important to supplement his diet with milk products as well. Dairy products such as cheese, cream, yoghurt and even pudding that are all made of milk itself can be included into children's diet. Furthermore, the child should also be given at least two cups of milk to drink. It is possible, however, that instead of giving them whole milk, you can give them skimmed milk; milk with limited fats. This is because children are likely to get their daily recommended intake of fats through other food components of their diet. Although including milk and dairy products in one's diet is of tremendous significance, excessive consumption of milk and milk products can have an adverse impact on your health. If men take more than 2.5 servings of milk or its products, they are more likely to suffer from prostate cancer.